Food and romance go together like toast and jam as far as I’m concerned; that is, perfectly! 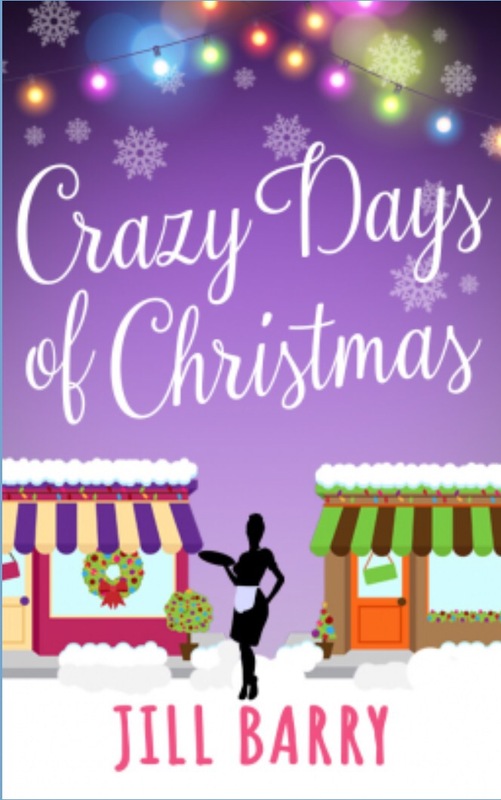 In Crazy Days of Christmas, Lucy finds herself suddenly short one chef at the restaurant she owns. Chef James happens to be looking for a short term assignment, and is glad to fill in at The Town Mouse. They both get more than they bargained for: a micromanaging restauranteur and a menu revolutionary who step on each other’s toes and push back more than expected! I mostly enjoyed all the restaurant talk and menu changes in this light romance. I have fun reading about food. Jill Barry also did a nice job maintaining the tension between Lucy and James without it feeling forced. I was charmed by the development of their relationship, even when Lucy and James weren’t even sure where it was going! The only negative for me was that this food-focused romance had such a Christmassy title… a little bit misleading. Not to fear, there was a happily ever after for Lucy AND her restaurant, and that makes this reader pretty happy.